These days, it seems like any half-decent gaming mouse requires at least fifty of your fine British pounds or sixty of your finest American dollars. 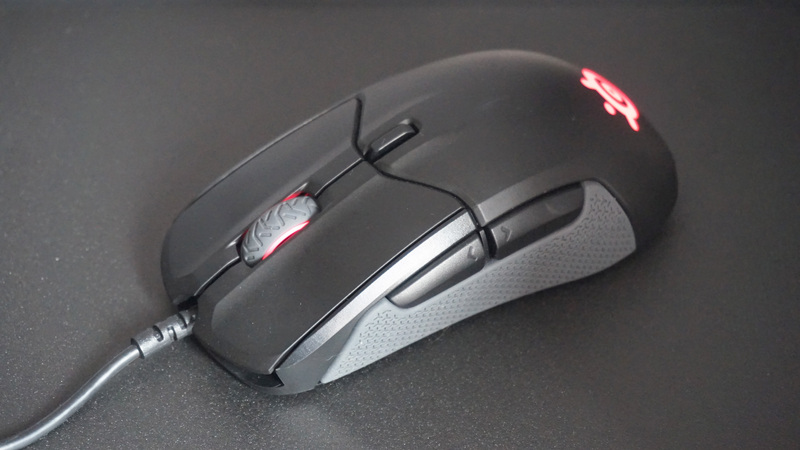 That’s still a lot more than I’m willing to fork out in most cases, but sometimes, I admit, it can be worth the extra expense – such as the Asus ROG Gladius II (£68 / $80) and its handy, dedicated DPI button for all those precisely timed headshots on the fly. Usually, though, you’re probably paying over the odds. After all, I’ve yet to find a mouse that actually improves how I play, and generally I just want one that feels nice in my hand and isn’t a pain to move. 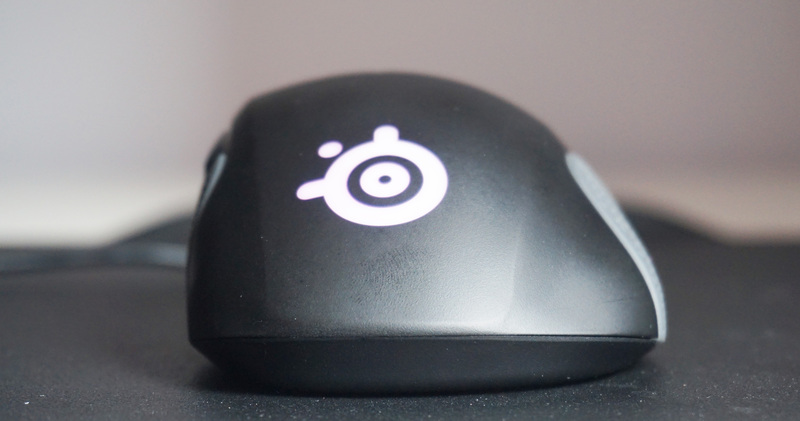 Enter the Steelseries Rival 310. Sitting just under that high-end threshold at a much more palatable £45 / $50, the Rival 310 brings some much needed competition to the other big cheeses of the entry-level mouse world, namely Steelseries’ own Rival 110 and HyperX’s Pulsefire FPS. Let’s see how it fares. Essentially the right-handed version of the excellent Steelseries Sensei 310, the Rival 310 strikes the perfect balance between form and function. It’s not the sleekest or most attractive mouse I’ve ever seen, but it’s just the right size for my favourite lazy-girl palm grip, and its rubberised sides provide ample cushioning for my thumb and little finger. The farthest of its two side buttons is, admittedly, just on the cusp of being out of reach, but thankfully I can still press the back of it with the top part of my thumb without changing grip. Happy days. What’s more, I can even haul back my middle scrolling finger to the central DPI button from this same position without feeling like my joints are about to snap in two. The Rival 310 is also one of the more tasteful RGB mice in this kind of price range. The small dash of colour around the scroll wheel and rear Steelseries logo are almost always hidden by your hand, so you’ll never be distracted by it when you’re Plunkbat-ing your chicken dinners, and you probably wouldn’t be too embarrassed to have it sat on your desk when it’s not in use, either. Compared to Steelseries’ Rival 110, the step up in build quality is almost certainly worth the extra cash. The 310’s rubbery grips are much more comfortable than the 110’s textured plastic bobbly-bits, its side buttons are much easier to hit, and you also get the benefit of Steelseries’ TrueMove 3 optical sensor as well. This provides proper one-to-one hand tracking, giving you an IPS rating (inches per second) of 350. The Rival 110, by comparison, only comes with Steelseries’ TrueMove1 sensor, which maxes out at 240 IPS. Personally, I never had any problem with the Rival 110’s sensor when I tested it last year, but when you consider the Rival 310 essentially comes with the same sensor as the twice as expensive Steelseries Rival 600, that extra £15 / $20 suddenly seems like quite good value. The Rival 600 does, admittedly, have an additional sensor for better vertical tracking for when you need to lift it off your mouse mat, but I’d expect the vast majority of people a) wouldn’t need this in the first place, and b) would be served just as well by the Rival 310. The Rival 310 also offers a wider DPI or sensitivity range than the Rival 110 and HyperX Pulsefire FPS, going from a dead-slow 100 all the way up to ludicrously fast 12,000 – again, the same as the Rival 600. No one will ever need anything much beyond the 3000 range, to be honest (unless you’ve got bionic eyes that can map the position of your darting cursor a million times a second), but the extra leeway at the bottom of the DPI scale may well be more favourable to those looking to edge into the esportsing arena. The only real downside to the Rival 310 is that its central DPI button only gives you two speed options to switch to on the fly. This is common to all Steelseries mice, to be fair, and the default settings of 800 and 1600 DPI should be more than enough for most people, but those who like a little more flexibility at their fingertips may find this a bit limiting. Still, at least you can always change these to whatever speed setting you like by downloading Steelseries’ Engine software, and you could potentially set up multiple configuration profiles to help get round it. As for altering the other main button functions on the Rival 310, you’re stuck with the old regulars – keyboard buttons, media keys, recorded macros, launching applications, OS shortcuts and other game-related Engine apps, switching configurations or deactivating it altogether. No on-the-fly DPI adjustments here, unfortunately, no siree. Still, it’s a small complaint in the grand scheme of things, and Steelseries provides plenty of other fine-tuning adjustments if you ever feel the need to make use of them. These include adjusting the acceleration and deceleration speeds when you need to whip your hand across your mouse mat or stalk someone down your sniper sights, angle snapping for straighter aiming lines, and polling rate options (how frequently your mouse communicates with your PC) between 125Hz and 1000Hz. As I said above, the Steelseries Rival 310 isn’t the flashiest mouse around, but for the money, it certainly gets the job done in a much comfier, more sophisticated fashion than either the marginally cheaper Rival 110 and Pulsefire FPS, making it my new best gaming mouse of choice for under £50 / $60. Meanwhile, for those after a more symmetrical mouse design at this kind of price or just fancy a few more buttons, the similarly-priced £50 / $54 Steelseries Sensei 310 should definitely be your next port of call – otherwise you’re edging into mega bucks territory with the £60 / $70 Asus ROG Pugio, and no one wants to be in mega bucks territory when they don’t have to. Tagged with feature, Hardware, mice, mouse, steelseries.